In order that your images are displayed correctly in the newsletter, they must be freely accessible on a server on the internet. If you do not have your own server you can upload your images to the image gallery on our server. We host your images for you, no matter how many there are or how big they are. This service is free as part of our email marketing software. Similarly, your newsletter dispatch is not coupled with any kilobyte limits. 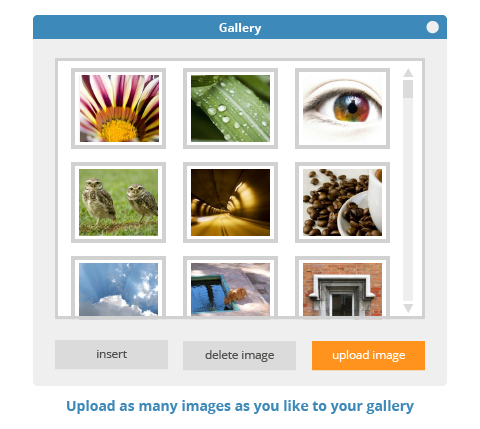 So you can send emails with multiple images and megabytes without any issues with Newsletter2Go. Would you like to link any documents or files into your newsletter? We’d be happy to take care of the hosting for this free of charge!